Good Day Sunshine. This is not the Summer of Love, but in the Chicago area, it could be the Summer Of The Beatles. In addition to Fest For Beatles Fans, which is set to reveal the lineup of guests for its August 13 - 15th convention at the Hyatt Regency O’Hare any day now, the critically acclaimed tribute band Tributosaurus will present two performances (7PM and 10PM) of The Beatles Vol. 2 at the Martyrs’ club on north Lincoln Avenue on June 2nd. This group has built a loyal following for its amazing ability to ‘become’ virtually any famous act. 1964, which bills itself as the #1 Beatles Show in the World, will play the Rosemont Theatre on Saturday, June 5th. Palatine’s Sounds Of Summer outdoor concert series kicks off with American English on June 18th. Turn Me On, Dead Man. 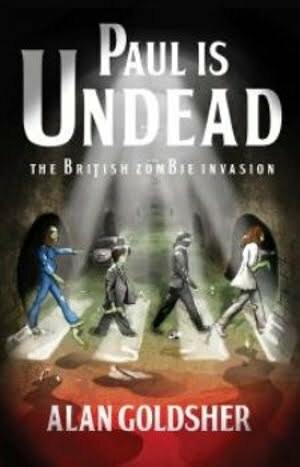 On an uglier, but hopefully funny note, author Alan Goldsher casts the Fab Four as flesh eaters in his mashup, Paul Is Undead - The British Zombie Invasion, which will be published by Pocket Books on June 22nd. According to Kristen Callihan in Paste magazine, the novel, which could become a movie, depicts John, Paul, George, and Ringo as “brain-hungry zombies who use their subliminal-message-laced tunes to lure fans back stage.” That’s one way to deal with groupies. No word yet if Pamela DeBarres will release a companion book. Paste is asking people on Facebook which characters from Beatles songs they’d like to see as zombies. My suggestion: Eleanor Rigby, unburied along with her name. Just thinking, if the Paul Is Undead book and movie become hugely popular, will tribute bands feel obliged to - - - well, never mind. Independence Tap, on Irving Park Road in Chicago, continues its FretKnot Fridays series tonight with featured performer singer-guitarist Shelley Miller. The event, which is held on the second Friday of each month, also serves as a jam session with an open mic. Miller cites Lucinda Williams and Patti Griffin among her many influence and released her latest CD, When It’s All Gone, You Come Back in March. Tonight’s jam session kicks off at 8:30 PM. International Pop Overthrow has moved on, but The Abbey on the northwest side is still a great place to see indie bands. Tomorrow night’s double bill of The Handcuffs and The Hushdrops is a prime example. The Handcuffs weren’t officially on this year’s IPO lineup although drummer Brad Elvis was part of Ellis Clark’s Epicycle extravaganza. The Handcuffs, who have been working on their third CD, will take the stage at 11:00PM. Psychedelic popsters The Hushdrops will follow them. Aaron Fox & The Reliables logged two performances at this year’s IPO in support of their impressive new CD Late Too Soon. They’ll be at The Abbey on June 5th, along with Los Angeles alt-rockers Nico Vega. The hard-edged Chicago quartet The Great Crusades, will also be on the bill that night, promoting its latest effort, Fiction To Shame. Magatha Trysty and Van Go both notched impressive performances at IPO Chicago, and they’ll be sharing a double bill at Phyllis’ Musical Inn on Division Street, next Saturday, May 22nd. If you enjoyed the Tutu & The Pirates/Da! double bill last weekend at The Empty Bottle, you can soak up more vintage Chicago punk scene ambience tomorrow when Club Foot, located on Augusta, presents a La Mere Vipere Reunion. LMV was the very first punk club in the Windy City and had quite a reputation. DJs at Club Foot will spin records that would have been on La Mere Vipere’s turntables back in the day. Bryn Packard, a funny and gifted actor who worked with me when I performed with the Famous In The Future comedy group, is part of the cast of Christopher Durang’s The Marriage Of Bette & Boo, which The Village Players will be staging at their theatre in Oak Park from May 15th through June 27th. James Moeller is a Chicago-based actor/musician/deep thinker who always seems to have something intriguing going on. 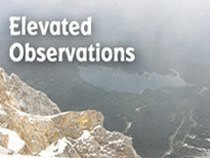 His blog can be poetic or hard-hitting, and he often uses it to promote upcoming gigs for his bands. It’s now also a site where people can listen to some of his tunes, including a couple from WhiteWolfSonicPrincess, the dreamy indie band he fronts with Carla Hayden. The band will be performing at The Red Line Tap on Sunday, May 22nd. Ah, Look At All The Blogging People. Speaking of blogs, they seem to be commanding more respect these days. The Reader, as part of its Best Of Chicago 2010 Readers’ Poll has a Best Local Music Blog category. In related news, Robert Loerzel, a freelance writer and former editor of mine when I wrote for Palatine Countryside, has noted on Facebook that Lollapalooza is looking to connect with Chicago-based music blogs to help promote its August 6th - 8th Grant Park event. Loerzel’s Underground Bee site is notable not only for his well-written concert reviews, but also for the great photos he takes.